A wise man named Henry Miller once said, “One’s destination is never a place, but a new way of seeing things.” It might not fit on a license plate neatly, but it probably sums up contemporary feelings on travel. The way people (especially those darn millennials) think about traveling has changed. Vacation packages and cruise ships are now considered lame while backpacking, couchsurfing, and discovering real local experiences are what it’s all about. For those of us who aren’t shocked anymore when The Simpsons is televised in a language other than English, there is this gnawing, insatiable need to explore the World. Traveling means different things to different people, but most folks look for an element of authenticity or at least a peek at it. Even in the age of social media, you might not have a best friend living in your travel destination. That seems to be the ideal right? To have a friend who totally gets who you are and what you are looking for in this journey you’re taking. Someone who can show you these hidden gems that just speak to the wanderlust that caused you to cough up over a grand in airfare. Building off of this idea, a group of tech savvy nomads created Globe Hop, an online travel community that allows users to discover their traveling personality type and then helps them explore travel destinations through the eyes of locals (with similar travel personalities). This line of questioning helps expose your true travel personality type. Maybe you dig hostels and get a thrill out of pointing at random things on menus and seeing what happens or maybe you’re more of a skylines and mixed drinks kind of person. Regardless, your tastes are awesome because they are yours, and chances are that there are other people out there who enjoy traveling a lot like you do. After you figure out if you like “off the beaten path cafes” or “boulevards that leave you feeling like Pretty Woman,” you will be able to find travel advice from people who understand your travel personality. Globe Hop was built around the idea that people like sharing their experiences with like-minded folks. 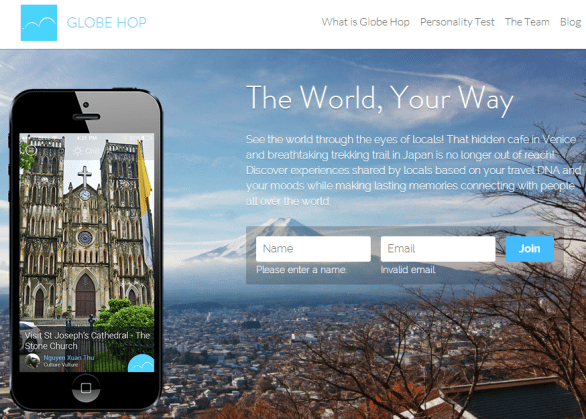 Globe Hop is currently in beta. iOS users can request beta access at GlobeHop.co. 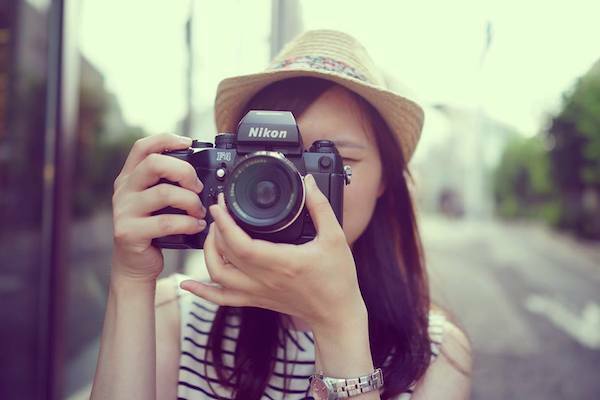 For the latest updates and some envy-inducing travel photography, check them out on Facebook and Twitter.